The students at nearby UWA and the general population around Broadway must be pretty pleased with themselves. In a relatively short space of time there is Chapter 88, Varsity, Tommy Sugo, and the staple Univeristy Asian. I’ve always wanted to try this humble restaurant and take away joint, and I had my chance tonight. I was told the special fried rice is aptly named and that is what I ordered. 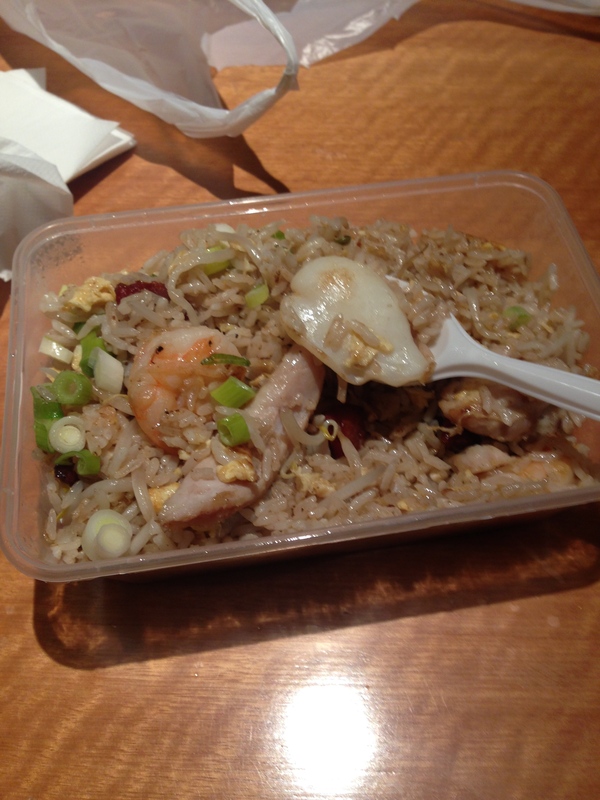 On getting back to my hotel I realised this was indeed no normal fried rice. Squid, chicken, pork, prawns – all in good measure with a nicely executed rice fry up – were about as good as it gets for take away Chinese. This introduction leaves me in no doubt that I’ll be back for a proper meal in the not too distant future.